Yesterday President Trump was roundly criticized by Democrats and media liberals for his statement about the North Korean nuclear threat “North Korea best not make any more threats to the United States. 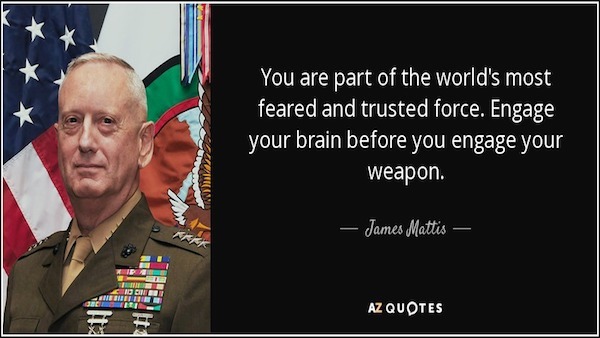 They will be met with fire and the fury like the world has never seen.” Today that criticism was answered not by North Korea, but by U.S. Secretary of Defense, and retired Marine General James Mattis. General Mattis answered the criticism with a statement of his own that was just as tough as that of the president’s (if not stronger). And while the President’s critics worried that he was a novice in the world and military stage, that same thing could not be said of the General who spent 44 years in the Marines, many of which were on the international stage. 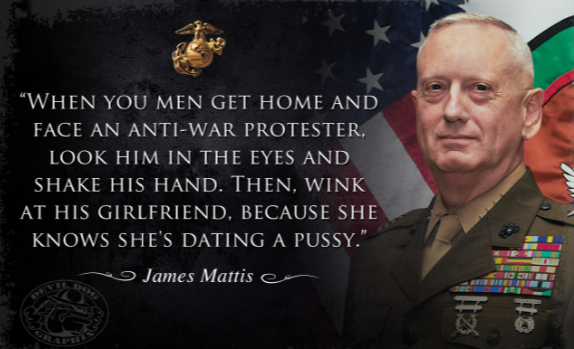 General Mattis is not a frothing from the mouth warmonger. He is a leader who wants to avoid violence at all costs, but if he has to go to war he doesn’t want to do it in a tepid way which leads to American deaths.